What is islamic Microfinance ? Islamic Microfinance is a sector with a great potential to expand. It is estimated that 72% of the population living in predominantly Muslim countries do not use financial services, because they do not follow the precepts of Islam. Muslims use conventional financial products, but various surveys show that if they had the choice they would use sharia-compliance financial products. One of Islam oobjectives is to support the most vulnerable, which tally with the microfinance mission. 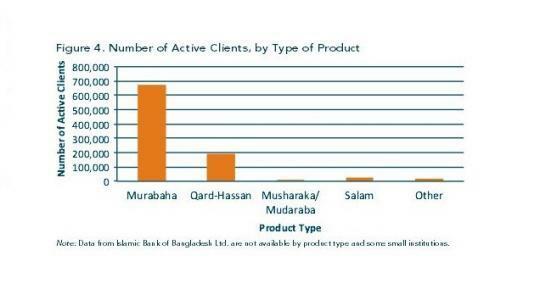 Today, the Islamic microfinance is concentrated in three countries: Indonesia, Bangladesh and Sudan. According to CGAP study, 300,000 customers were concerned by the Islamic microfinance through 126 institutions operating in 14 countries and approximately 80,000 customers are linked to a network of Indonesian cooperatives. 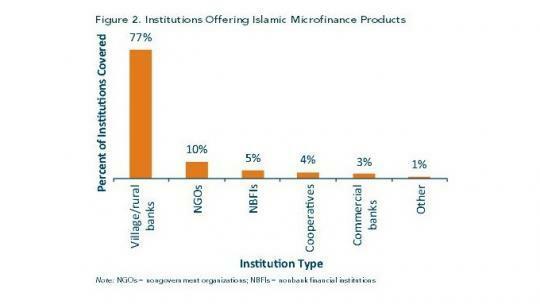 Howerver, in Islamic countries, Islamic microfinance is still a tiny share of microfinance. It often develops due to government support as in Pakistan, in 2007, where guidelines were developed to promote growth. Islamic Microfinance is a new market in Islamic finance : Islamic banks provide financial assistance to people excluded from the banking system. Microfinance as the same aim. Islamic microfinance complies with principles of Islam and to involves in projects halal (allowed by sharia). Projects must be charitable or helping to develop the economy of a country. Islamic Microfinance would help the 650 million Muslims living with less than $ 2 a day and give them access to financial services. However, despite a fourfold increase in the number of clients(estimated at € 1.28 million) and a doubling of the number of suppliers, in recent years, the nascent industry continues to struggle to develop. In a study on Microfinance, CGAP has studied the situation of the sector and then identified the main obstacles to growth (Karim, Tarazi and Reille 2008). In collaboration with the French Development Agency, CGAP has also conducted a survey in 2011 to better understand the current situation of supply of Islamic microfinance. 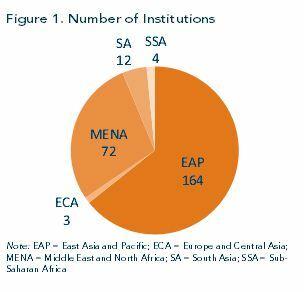 Despite the impressive increase in the number of suppliers and customers of Islamic microfinance sector is still dominated by a few suppliers in some countries that rely primarily on just two products (Murabaha and Qard Hassan - see image 1). Thus, the Islamic microfinance sector needs a concerted action. sale of Islamic microfinance services - murabaha - is the Sharia-compliance contract the most commonly used to finance goods. When the client requests a specific product, the lender acquires it directly in the market and resells it after applying a fixed margin payment for the service provided. Musharaka and mudaraba are contracts which share risks and benefits. Musharaka is a relationship between two parties or more that contribute capital to a business and divide the net profit and loss pro rata. The parties share the profits or losses in a predetermined percentage. This type of financing can be used for the assets or funds bearing. Mudaraba is a trustee financing instrument in which one is a donor and the other brings management expertise in the project. Salam is an advance payment in exchange of a future delivery. It is often used in agricultural settings, allowing farmers to finance production in exchange for future delivery cultures. To respect the sharia, the quantity, the quality of future goods and effective date of delivery must be specified explicitly. Exchange contract between a seller and a buyer is called istisna `a . The Sellers can either produce goods themselves or buy them from a third party. The end customer can pay the sale price is at once the contract is signed, or subsequently at other stages of the manufacturing process. Micro-leasing: The MFI allows the customer to use an asset that belongs to him. Risks remain within the MFI, unlike a conventional leasing (all damages caused by involuntary means or in case of force majeure are supported by the MFI, to avoid leasing as a disguised sale with interest). Cash flows are adjusted so that costs and risks of MFIs are covered. The terms of the lease are set in advance to avoid speculation. Takaful is a mutual insurance. Each person participates in a fund that is used to help the group in case of need, for example, death, agricultural losses, accidents etc... Premiums paid are reinvested to avoid the mechanism of interest.